A turbulence model for high-speed compressible flows is developed. It is based on modeling the rapid and slow parts of pressure-strain correlation depending on gradient Mach number and on the assumption that the velocity fluctuations normal to streamlines play a key role in turbulent mixing process. It is shown that an increase in the flow velocity leads to a slowing of turbulent mixing and an increase in the anisotropy of the flow. Comparison of the calculation results with the available experimental data showed good agreement. 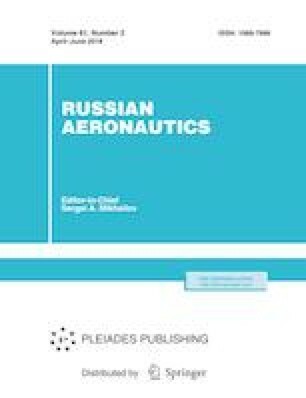 Original Russian Text © A.M. Molchanov, A.S. Myakochin, 2018, published in Izvestiya Vysshikh Uchebnykh Zavedenii, Aviatsionnaya Tekhnika, 2018, No. 2, pp. 85–92.